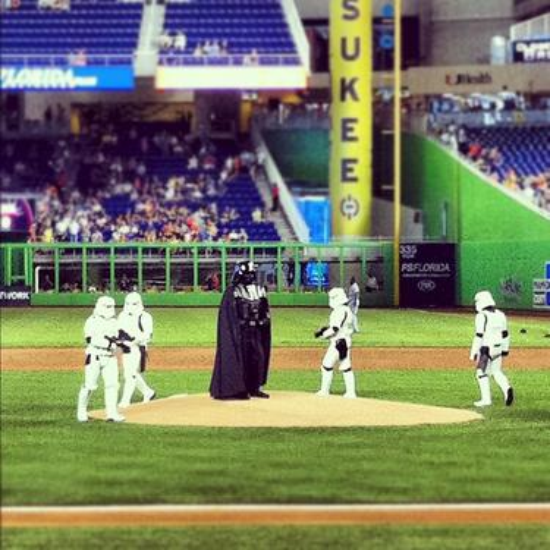 I'm not sure if this is a sign of things to come for the Washington Nationals, who are playing the role of the Jedi-Masters in Miami this afternoon on Star Wars Day. 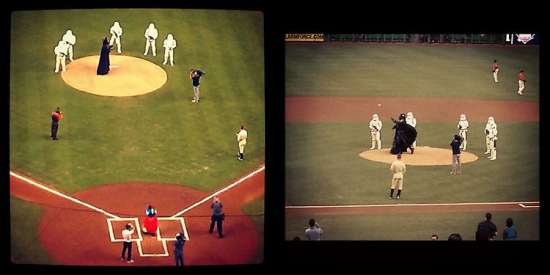 Darth Vader has taken to the mound for the ceremonial first pitch protected by a squad of elite Storm Troopers. 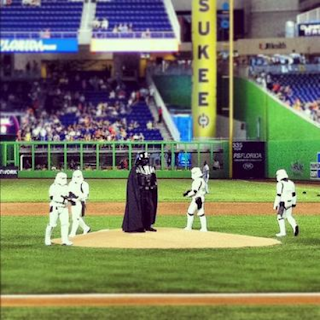 Will the Nationals be able to use the force to defeat the darkside Marlins? 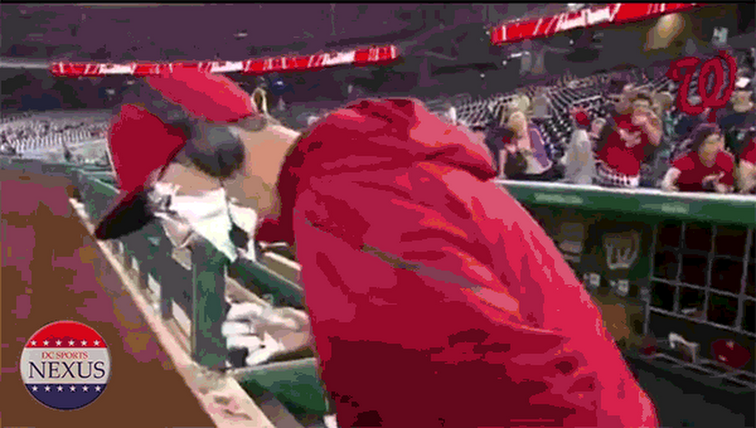 Darth Vader throws like a girl he does...Bryce...I am your father!